One of the favorite parts of my job being a professional portrait photographer in Gulf Shores is repeat clients. I get no greater joy than watching families grow and develop through my lens. To us, our clients are like our family. Over the years we watch these beautiful families and their children grow and mature. We have been doing this long enough that some of our first clients now have children in college. I just think it is humbling almost to know that a precious little baby that we once photographed is about to graduate from high school and go on to college to become a doctor. Time does not stand still, not for me, not for you, not for anyone. We can just sit back and enjoy the show while making as many fond memories as we can. That is why family is so important, and that is why we treat each and every client as if they were in our family. Time might not stand still, but I can help freeze moments in time and allow those memories to flourish. With our art, family memories can take on a new meaning altogether, mere photographs turn into the most cherished possessions in your heart. This is part of the reason why we take our job so serious. Too many photographers today have turned a once great craft into something way different. It seems that the market has changed and people have been wrongly convinced that they need fast, cheap, post it on Facebook NOW! Well, we are not willing to change because we care too deeply about our dying craft. It would be easy for us to offer multiple sessions every day where we herd people through like cattle for a rock-bottom price, but we are not willing todo that because we care too much about your family. We are the old school photographers you have heard so much about, and we are not willing to sacrifice quality for the almighty dollar. When you come see us, you can expect art that will impress the toughest of critics. We focus on one family a day because we are artist, not a production line. You will find us working our butts off to capture memories that will soon become family heirlooms. The experience will not be about a cheap price for minimal effort where you end up with a few digital images you can download at your convenience. If you come see us you will open a special delivered package and you will have tears running down your eyes. Our art is not about likes on your iPhone, it is about warming your home with beautiful memories that you will cherish forever! You will understand why finished art is so powerful, and you see the difference a true professional can make. Your art will be crafted by professionals, not by the people that run the neighborhood box store pharmacy photo lab! We want to share our art with your family and we want to see you again every single time you visit our island. 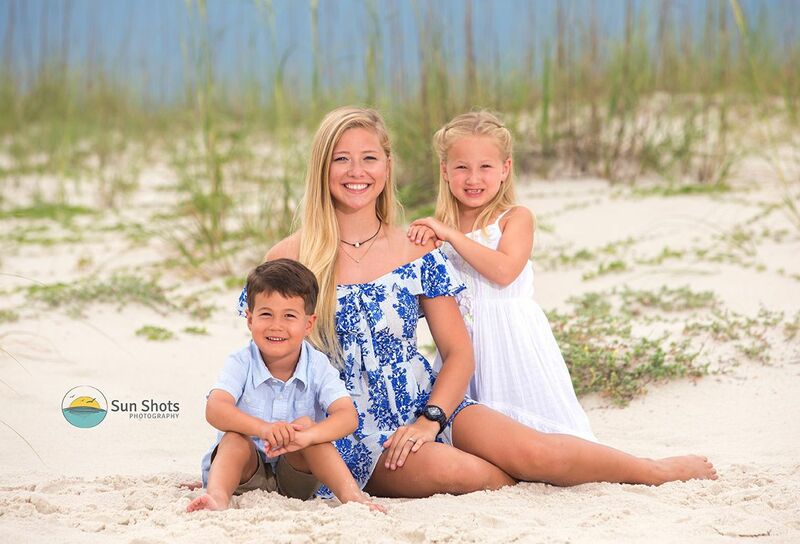 We are the premier professional portrait photographer in Gulf Shores, let us help you remember your beach vacation the right way!